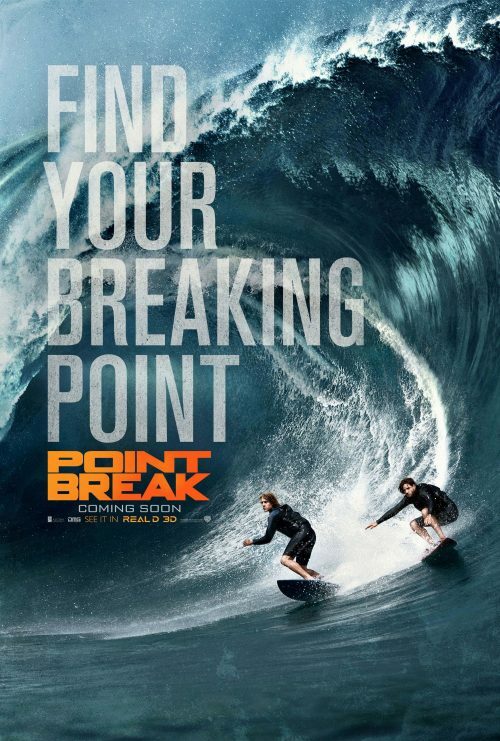 Two things have hit for the upcoming remake of Point Break. The first is a nice featurette that talks about how some of the surfing shots were actually done. The second, is a new teaser poster for the film. This shows a different area of sports. The first one shows us the sky diving and this one, the surfing. Not only that, it”s very close to what is on the originals poster. Just remove the tag line and weld the two stars at the top and, Bingo!